Women now receive half of all doctorates in the life sciences and are just as likely as men to be employed as biological and medical researchers. Yet, stubborn obstacles remain. Marie Curie, the first scientist to win two Nobel Prizes (1903, 1911), was unquestionably one of the most brilliant scientific minds in history, but in one sense—and through no fault of her own—her outsize career was an inspirational failure: It would take nearly a century for significant numbers of women to come even anywhere close to the French physicist in terms of scientific achievement and recognition. There are a number of reasons why Madame Curie’s career did not inspire a generation of women to follow her down a scientific path, with lack of education, opportunity, and gender bias among the key limiting factors. The good news is that in 2016, with burgeoning numbers entering the “STEM” fields, women have a firm and rapidly expanding place in science and are taking their seats at the pinnacles of scientific achievement alongside their male counterparts in ever greater numbers. This trend is clearly manifested at La Jolla Institute. 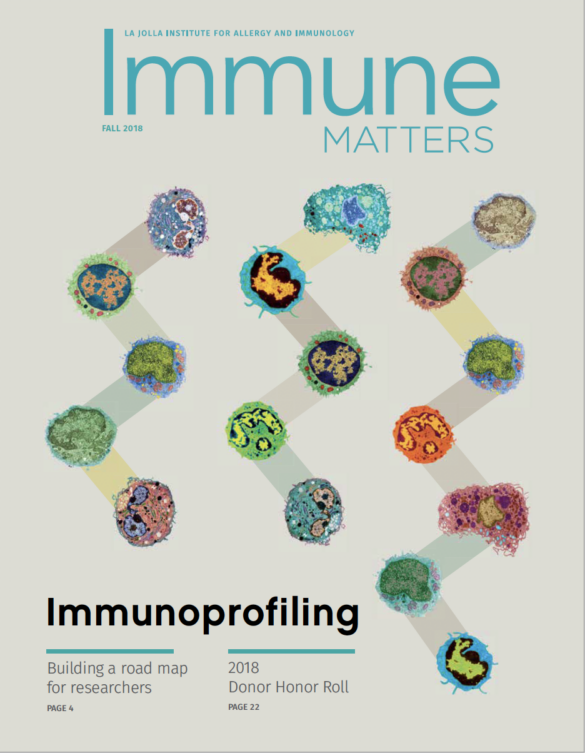 Some of the most amazing immunological research in the world—everything from creating potential new vaccines against the scourge of global infectious disease, to developing lasting cures for some types of cancer, to unraveling the mysteries of the immune system to create powerful new weapons to battle many types of inflammatory diseases—is being conducted by the remarkable group of women scientists at the Institute. Whether they’re senior professors with worldwide reputations, postdocs, students, technicians, or core directors, the dedicated women at LJI are all deeply committed to producing groundbreaking discoveries that will ultimately translate into clinical treatments to improve and save lives in all corners of the planet. *National Science Foundation, National Center for Science and Engineering Statistics. 2015. 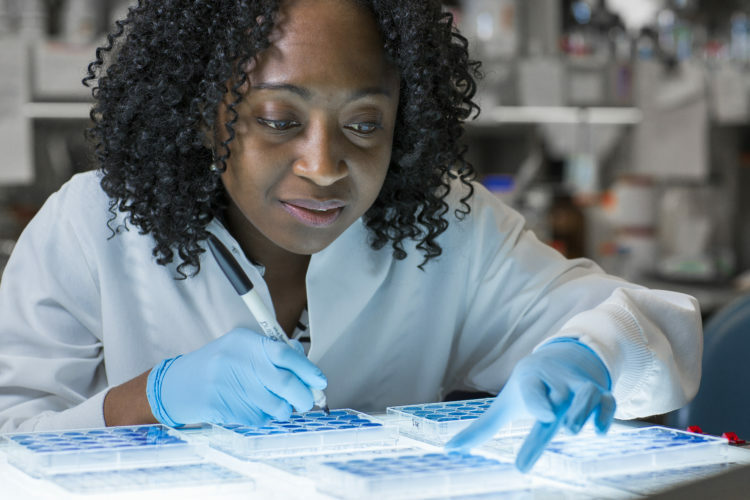 “One of the most exciting developments in recent years is watching the growth both in numbers and scientific results of the Institute’s women scientists,” says Mitchell Kronenberg, Ph.D., President and Chief Scientific Officer. “When I became president in 2003, we had just one female faculty member. Today, there are five women among our two dozen PIs, 30 percent of the faculty recruited during that time are women, and the percentage of female postdocs and instructors has expanded to 47 percent. “We’re proud that our ongoing focus on increasing the number of women scientists has been accompanied by an equally important effort to create a research environment that is as bias-free and as supportive as possible, not only regarding gender of course, but extending more broadly,” Kronenberg adds. What’s almost as amazing as the research success of the Institute’s women scientists is they achieved it by overcoming challenges most male scientists have never faced. Among them: gender bias making it more difficult to obtain grants, jobs, and promotions; unequal compensation; being shut out of male-dominated networking crucial for career advancement; and in some cases, being penalized for bearing children and raising a family. Remarkably, for most of the Institute’s women scientists, these challenges have barely slowed them down. In fact, these obstacles have only served to make them stronger. “I’ve had to deal with a lot of barriers as a woman over my 20 years in science, but they not only didn’t keep me down, they just fueled my fire to demonstrate that my work and career are equal to that of male scientists,” says Professor Lynn Hedrick, Ph.D., one of the Institute’s brightest stars. Dr. Hedrick late last year published a paper in Science with one of her postdocs, Richard Hanna, Ph.D., outlining fascinating research that could lead to the use of monocyte therapy to treat and possibly cure metastatic lung cancer. Dr. Hedrick says she’s pleased to report that conditions and opportunities for women scientists have improved greatly, and she’s optimistic that 20 years in the future most of the obstacles faced by female researchers today will be gone for good, resulting in an equal playing field. But since she believes multiple challenges remain, she’s actively working on behalf of women on a number of fronts, including serving on a committee on the status of women in science for the American Association of Immunologists. Interestingly, there are some women who do not believe that being a female scientist presents any problem at all. They claim they have never been discriminated against in their careers and that just raising the issue indicates gender actually matters. Some even say being a woman can be an advantage in pursuing grants and positions where there may be preferences for hiring women to compensate for past discrimination. There’s a certain amount of denial and wishful thinking in those concepts, says Sonia Sharma, Ph.D., Assistant Professor in the Division of Cell Biology, and Director of the Functional Genomics Facility. Dr. Sharma, who is one of the Institute’s youngest principal investigators, has already shown her mettle. Last year, Dr. Sharma was awarded a five-year $1.1 million grant from the National Cancer Institute to study how the body’s innate immune system recognizes and is stimulated by DNA released by damaged or dying tumor cells. Dr. Shresta accepts the job of role model enthusiastically, especially in one of the remaining areas challenging women scientists: motherhood. “Even with a supportive partner and helpful colleagues, pregnancies affect a lot of women at a critical time of their career: Usually when they are postdocs in the final stretch to their biggest paper, or as young investigators establishing a brand new lab and starting to work toward tenure,” says Dr. Shresta, mother of two children. Fortunately, that seems to be one of the last remaining issues facing women today, with the overall scientific environment increasingly conducive to providing women with equal opportunity. This has been the experience of some of the Institute’s younger scientists, including Annie Elong Ngono, Ph.D., a postdoc in Dr. Shresta’s lab who was raised in France and Cameroon. If there is one issue most women scientists believe will be the last barrier to fall, it’s the “glass ceiling” they believe is preventing females from rising to top academic and management positions in greater numbers. It’s a concern for another young scientist, Dari Spasova, a native of Bulgaria and a grad student who will receive her doctorate this summer in the lab of adjunct professor Charles Surh, Ph.D. Spasova is pleased to see statistics showing that women are entering science in equal numbers to men, but having worked in a number of labs across the world, she has seen the problem of advancement first-hand. “What I’ve seen is that a lot of women start out with a lot of ambition and hope at the postdoc level and in their first jobs, but as time goes by they gradually become discouraged and many of them give up because they run into this glass ceiling where it’s very difficult to advance to become professors and department heads, let alone heads of institutions,” Spasova says.